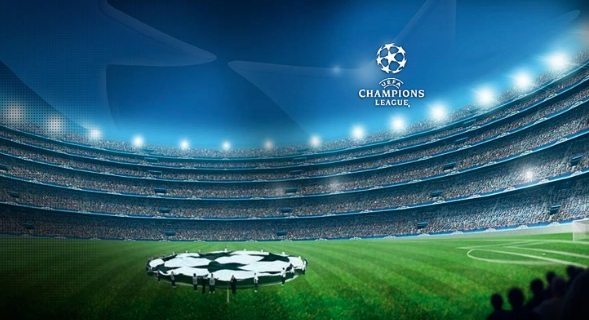 Champions League is the highest paying competition and every team in plaoffs recieve around €2.1 Million, even if they fail to qualify for the group stage, once they reach there all 32 teams recieve €8.6 Million as base money regardless of the results, while there are incentive base money as well. €1 million is given to a team whenever they win the group game and €500,000 for a every draw in the group stages. when they draw, qualifying to the Round of 16 further give a team another €3.5 and so on upto €10.5 million for final winners and a winner can take home around €35m just in prize money. What About The TV Money ? So if a club go all the way and win the competition as of 2012-13, in case of Bayern Munich who won the competition in 2013 recieved around €30,5m as prize money + €21,8m as tv money from Champions League making their win a worthy of €52.3 million overall. 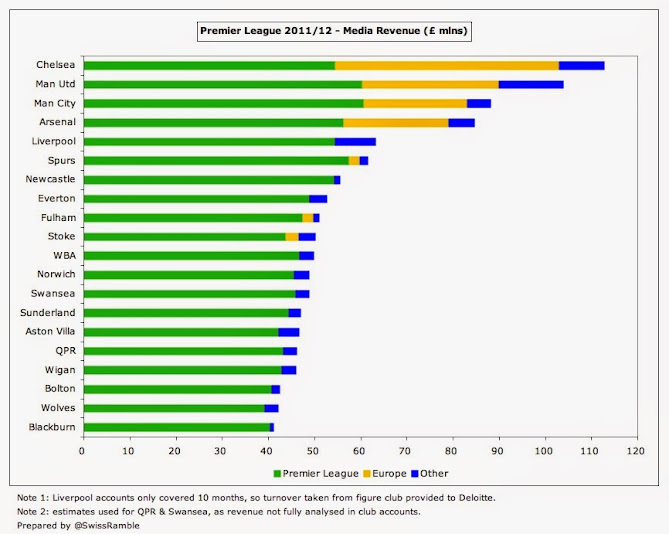 How the money is distributed among 32 clubs ? When Chelsea won the champions league in 2012 beating Bayern on penalties the average viewing figure were around 167 million. Chelsea got €60 million in total from UEFA, which was combined total of prize money and TV money. Now if FC Basel win the champions League they won’t necessorly get as much as Chelsea did, the prize money will be same but TV money will be way less than what bigger clubs get. Manchester United were knocked-out in the round of 16 stage last year, and they made around €40 million while Bayern Munich won the Champions League and they got €52 million from UEFA. When Chelsea won the Champions League they earned around €60 million in total prize money + TV money from UEFA, which was higher than they earned in Premier league in the same year which was around £54 million. 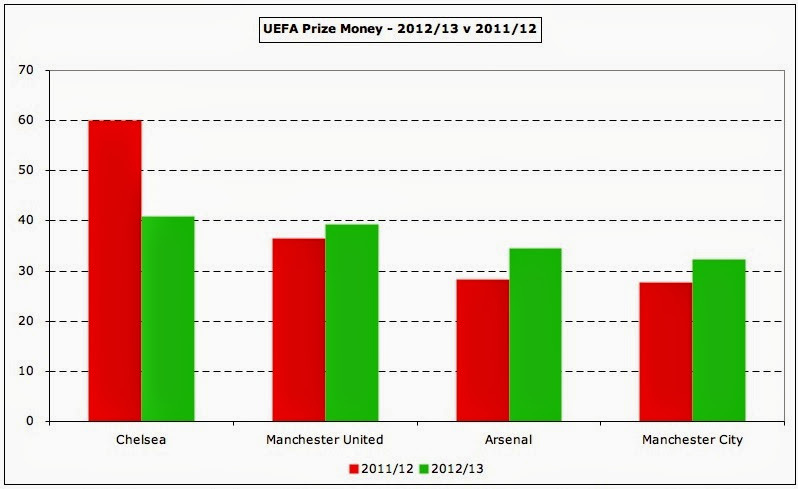 you can see from the above analysis that how Premier league teams do in Champions League in the last couple of years and how much did they earn, while following diagram shows why for Arsenal finishing in the top 4 in the league is like winning the league, by competing in the champions league top 4 premier league clubs have huge money advantage over the other 16 teams in the league.